Number form synesthesia is a neurological condition that was first documented by Francis Galton. Synesthetes of number form have a mental map of numbers that come involuntarily and automatically whenever someone with the condition thinks of numbers. It is one of the many types of synesthesia, a condition where the stimulation of one sense causes the perception of another sense. Just like in hearing-touch synesthesia, research suggests that it is a result of cross activation between the region of the parietal lobe that deals with spatial cognition and numerical cognition. People with this condition claim to have mental pictures of patterns of numbers. These numbers can be dates, postal codes, street addresses, phone numbers, and bank account numbers and so on. For example, someone can see a number line running from 0 to 9. When it reaches nine, the number line is expanded in any direction and counts in reverse or in a particular pattern, says odds or evens. A mental map of dates can range from BCs ( 1000BC ) to infinity, it could show dates in their correct order or following a particular pattern. Some experience their number forms with hundreds of phone numbers that keep coming into their memory. This form of synesthesia has caught a lot of attention among the researchers in the field of numerical cognition. 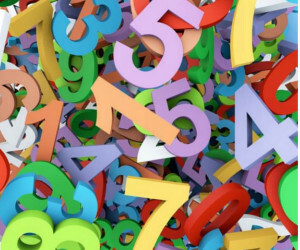 It is believed that upon further studies, number form synesthesia could provide understanding of the neural mechanisms associated with numerical spatial cognition that is believed to be inherently and unconsciously in everyone. So many people with number form do not know that they have the condition. It is only revealed after a careful introspection. One day they will think of these patterns or mappings of numbers and they will realize that they have been experiencing number form synesthesia for as long as they can remember. Therefore, to ascertain from himself that he has this condition, a deep self examination is deemed necessary. Research in the field of synesthesia has not yielded constructive results since it has been difficult to make people understand what is being looked for. Owing to the abstract nature of the condition that is only manifested mentally there are a lack of appropriate tool and tests that can give exactly what the researches are trying to find. However, there are speculations that people with number form synesthesia could posses superior ability in number work and mathematical problem solving. In most cases when this issue is raised, people do not normally understand it and they end up giving delusional examples of what they think it could be.